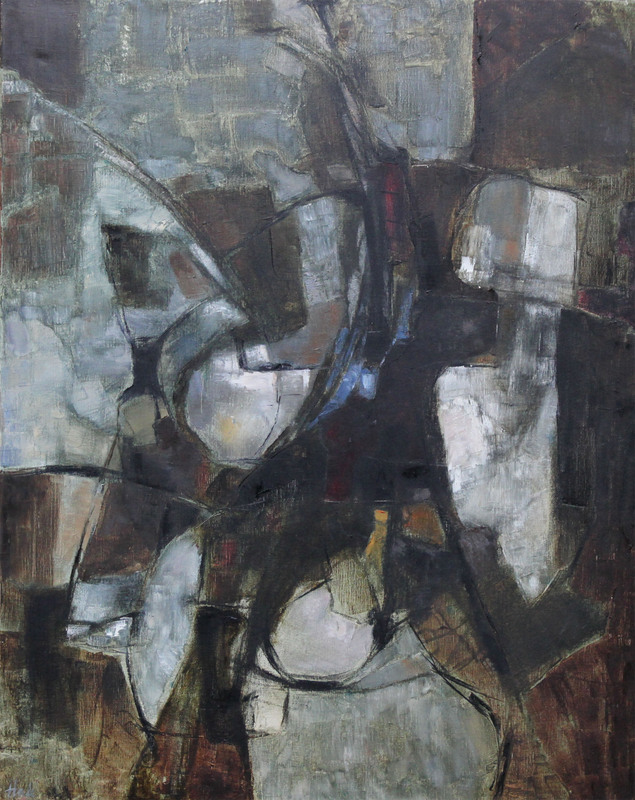 This stunning abstract expressionist oil on canvas is by artist Helen M Hale. 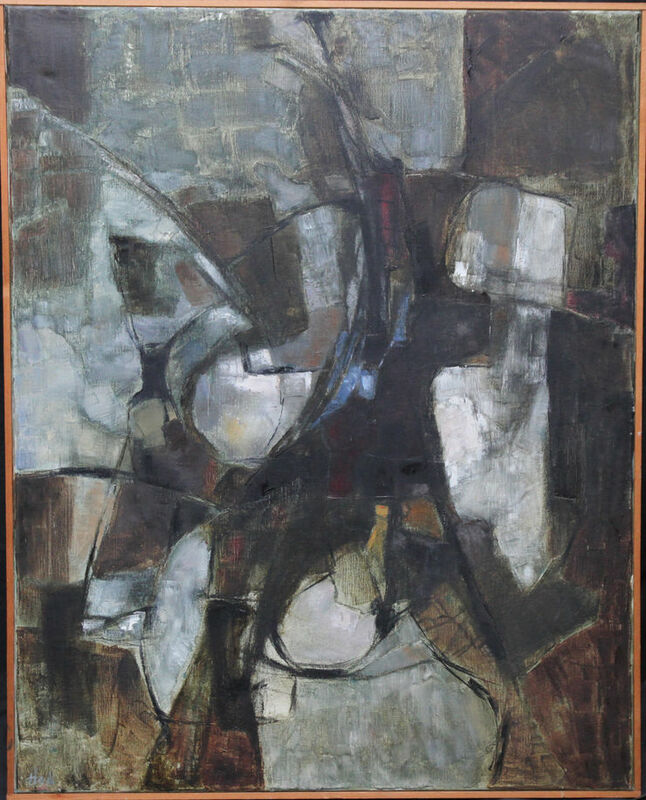 Painted in the 1960's with strong brushwork and colouring. Exhibition label from the Federation of British Artists Gallery. The Federation of British Artists (FBA) consists of nine art societies and is based at Mall Galleries in London where the societies' Annual Exhibitions are held. The societies represent living artists working in the United Kingdom who create contemporary figurative art. Framed in a surround frame 41 inches by 33 inches and in good condition.